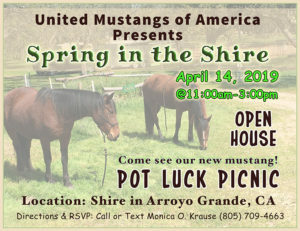 Every second Saturday of the month, from 9 A.M. to 2 P.M., throughout the year, the BLM holds a mustang adoption event at the Sundance Ranch in Redlands California. The contracted facility consists of 5 corrals in a line containing horses and burros, and two additional smaller empty ones that winged at each end. Each corral was connected by an outer enclosed fenced area where they can transfer the animals from pen to pen, as they definitely cannot do so by leading them. The horses there were from Northern California and Nevada. All of them were about 2 years old or younger. They were all different colors shapes and sizes. 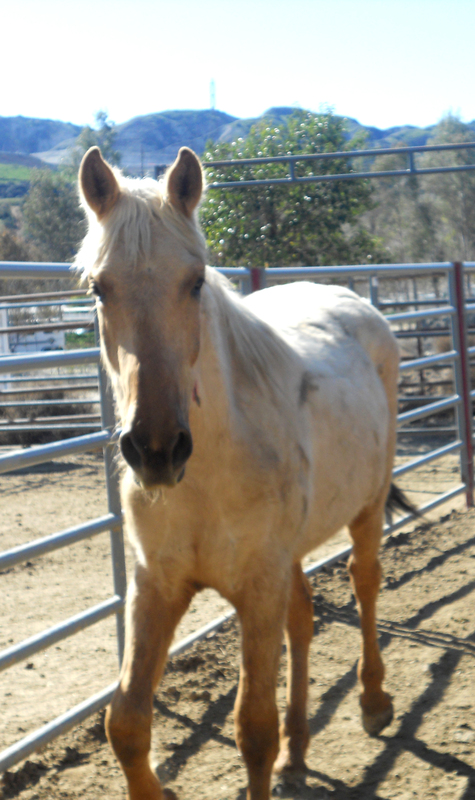 Some shorter, some taller, some rounder, some thinner… paint, roan, sorrel, chestnut, grey, palomino, bay, and black. 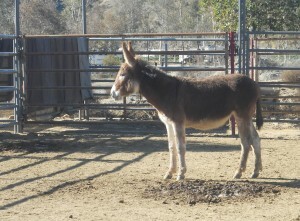 The burros are only 6 months old. Someone had asked of they delivered… the answer was, “not anymore.” At one time they performed free deliveries, but became too expensive to do now. However, someone at the Sundance Ranch with a trailer be available for a delivery. 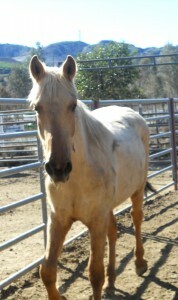 The palomino was adopted first thing in the morning at 7:30 A.M., one and a half hours before the event even started. I got there at 9:30am, thirty minutes after opening. I was surprised to only find the staff and two other ladies, who already had owned mustangs, but were just there for the atmosphere. During my entire visit from 9:30am-2pm, only 9 parties including myself had showed up with the exception to the lady who had been the only adopter. Including her, it would have been 10 total. 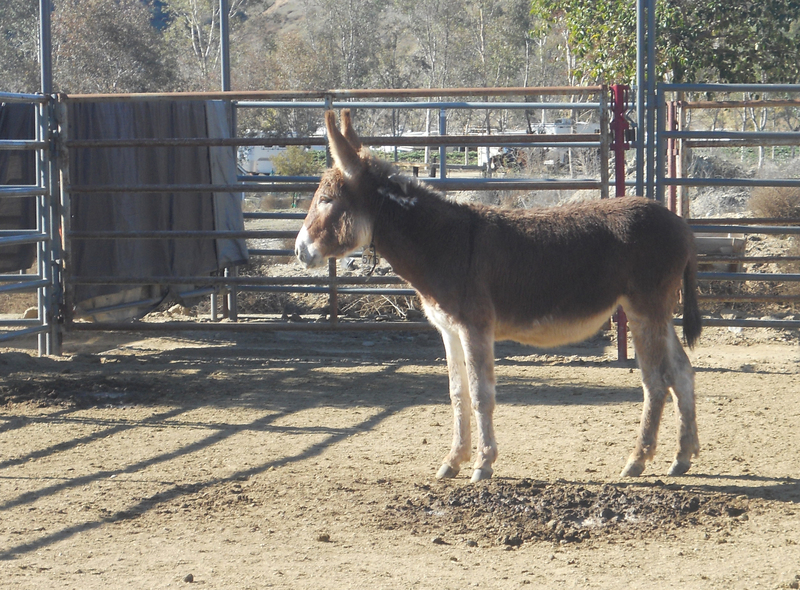 In the past, the staff reported that hundreds used to come out for an adoption event, where they lined up from the ranch and on down the road with their trailers. Today was a far cry from that scene as I was able to pull up in my Prius right to the corral. One of the staff members reported that he has seen a range of adoptions on adoption days from over 300 to -1. I looked at him quizzically in response to the -1, and he noted that the reason was that one came back. Why not so many adoptions now? I was also told of the consistent answer to any reason why people do not do things is because of the lack of money… how costs of keep are so high, the high prices in feed, etc. Basically to me, the economy excuse. You can ask me why I call it an excuse. The horses present at the adoption event are there all month where facility staff clean the pens and feed them regularly. BLM staff also comes out once a week at least to make sure their tags are not on too tight and that everyone is safe. The mustangs there can be adopted anytime during the month, but the palomino that was being adopted was done so with the staff present just to make it easier. They may also switch out a few before next months adoption for new interest. State of purity… Who’s watching? The horses kept there are not supposed to be getting gentled, just hanging out. People do not wanted them gentled, they want them untouched. However, a couple that had already adopted a mustang 4 months ago, claimed that they get into the pens (I am assuming unsupervised) and try to get the mustangs friendly with them. My conclusion is that this bold action from these public visitors is taking away the pleasure and exhilaration in adopting a fresh mustang. About less than 1%. Just like any horses, not every horse can be a good horse. They are just horses. I was lucky enough to attend an event where there was at least one adoption and got to witness the mustang being loaded into the trailer. Here is a video clip of the entire process. The wrangler performed this process in the safest and gentlest manner possible and the horse was not intentionally harmed in anyway. It took only about 8 minutes from loading the gelding into the shoot, haltering and into the trailer. In the past, wranglers have had experienced broken arms from thrashing mustangs! Today, everything went quite smoothly considering handling a wild animal. Today I found out that people like the idea of adopting the mustangs. However, those who came and showed interest either had enough mustangs already, were just curious, just wanted to hang out like myself, or lacked the skills and education necessary to take on such a project and responsibility. And every single one of them did not bring a horse trailer. The journey in attending this event has inspired me to investigate further. I want to know the situation of mustang adoption events across the country. And if the number of adoptions are low, I want to know exactly why. Upon doing so, it is my intention to find and inspire a solution. We will see where the winds blow me next.